Hi All , on April 6th I have booked to abseil down Northampton lift tower, I must be mad!!! ???????????? So today we celebrated World Down Syndrome Day in style…. 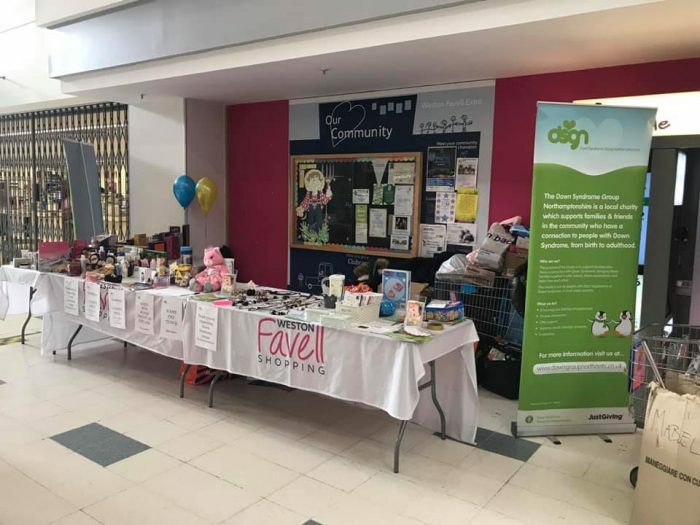 Thank you to everyone who helped out on the stall at Weston Favell centre today, thank you to the everyone who donated fabulous prizes (we had hundreds), thank you to everyone that visited the stall and supported us. The amazing DSGN team ???? raised an OUTSTANDING £568.22 – they smashed it WELL DONE EVERYONE !!!! We are so very grateful to everyone involved today ???????????? They apparently can’t wait until next year as this has become very special to their hearts ??? ?